Council is proposing to name the civic space at 350-352 Burwood Road, Hawthorn, 'Beswicke Square'. In selecting a new name for a space, we strive to create a 'sense of place' by honouring and observing the local character of the relevant area, and any heritage and historical connections to the site. 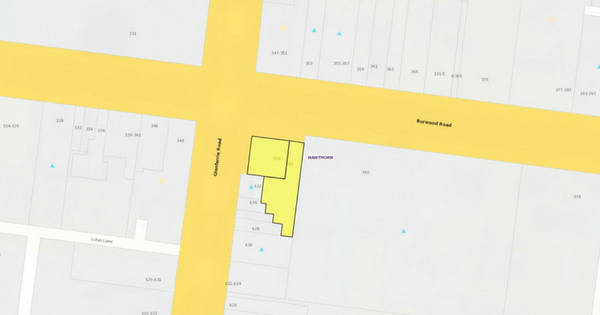 The civic space is shown in light yellow on the map above and is on the corner of Glenferrie and Burwood roads. The name 'Beswicke Square' has been proposed to commemorate the prominent Hawthorn resident Mr John Beswicke (1847‐1925). Mr Beswicke was a prolific architect who lived in Hawthorn and designed many civic, commercial and Heritage Registered houses in Victoria. In Boroondara, he designed the Hawthorn Town Hall at 360 Burwood Road (now known as the Hawthorn Arts Centre, located adjacent to the site) and many of the distinctive and notable houses in Hawthorn. All name submissions must comply with the Naming rules for places in Victoria - Statutory requirements for naming roads, features and localities 2016, which we encourage you to read. You are invited to have your say on this proposal until Friday 7 September, 2018. We encourage you to have your say via the online survey. post: Private Bag 1, Camberwell, VIC 3124. Please contact Elizabeth Manou, Acting Governance Projects Officer, on 9278 4473.